I think you mean "wrap tunnel", no? Of course, this tat is not true to the game, as it sports multiple warp tunnels on the same side of the map, rather than opposite sides. No, I meant warp tunnel. Though it wrapped, pac-man accelerates speed while going through it, so most called it a warp tunnel. 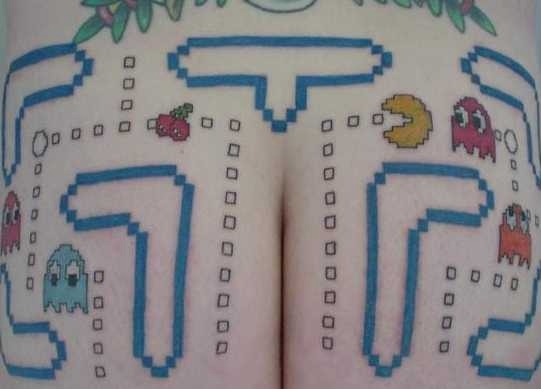 Either way, there'll be no game- or other-theme tat for me, thank you very much.